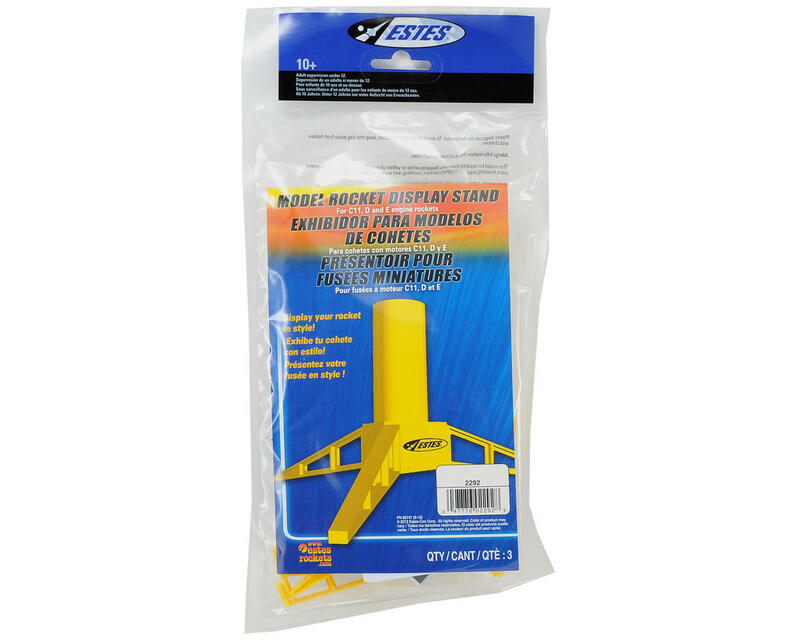 This is a pack of three Estes C11, D or E Engine Model Rocket Display Stands. These stands are a perfect display option for your rockets. 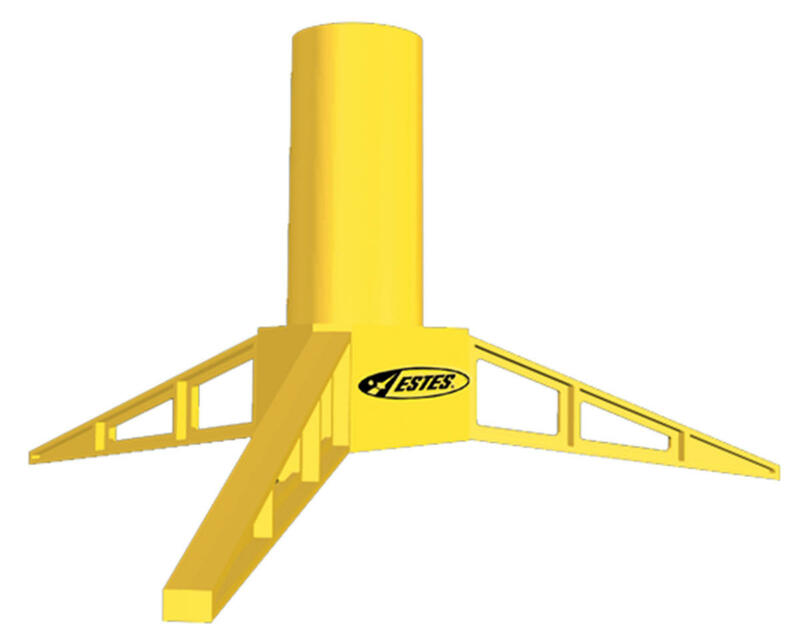 Package includes three yellow stands. Some assembly required.